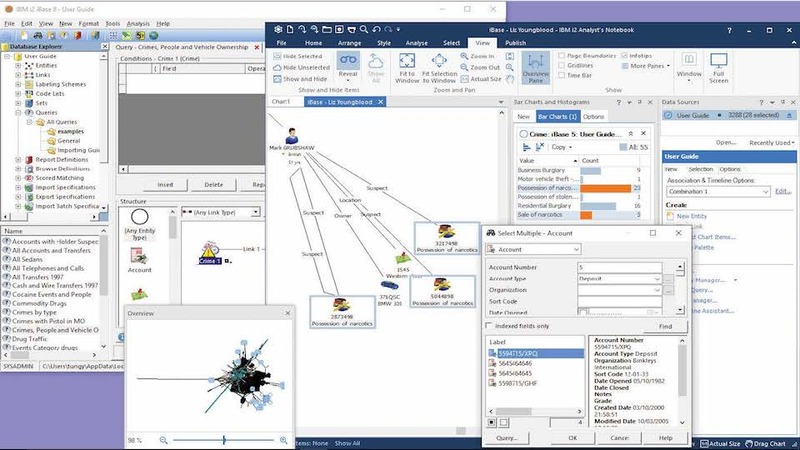 IBM® i2® iBase is an intuitive intelligence data management application that enables collaborative teams of analysts to capture, control and analyze multi-source data in security-rich workgroup environments. It addresses the analyst’s daily challenge of discovering and uncovering networks, patterns and trends in today’s increasing volumes of complex structured and unstructured data. i2 iBase provides a multi-user data sharing environment that combines rich analysis and visualization capabilities with dissemination tools. Flexible data acquisition and management capabilities and automated task driven analysis facilitate data acquisition, importing and modeling for further analysis. 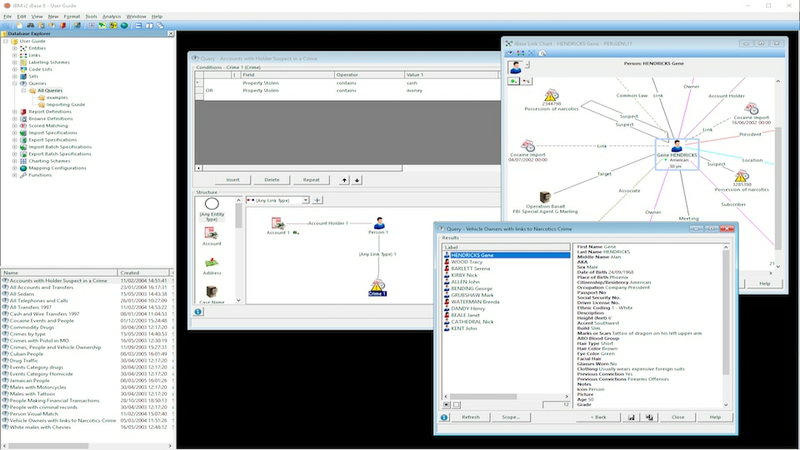 Security rich data access, built in collaboration tools and user notifications increase team efficiency and awareness. Rapid out of the box deployment, a flexible data model and intuitive user design help teams experience the benefits of i2 iBase quickly.